Hurry on over to Amazon to snag the Crayola Color Wonder Light Up Artist Palette with Glitter Paper for just $9.97 (was $29.99). 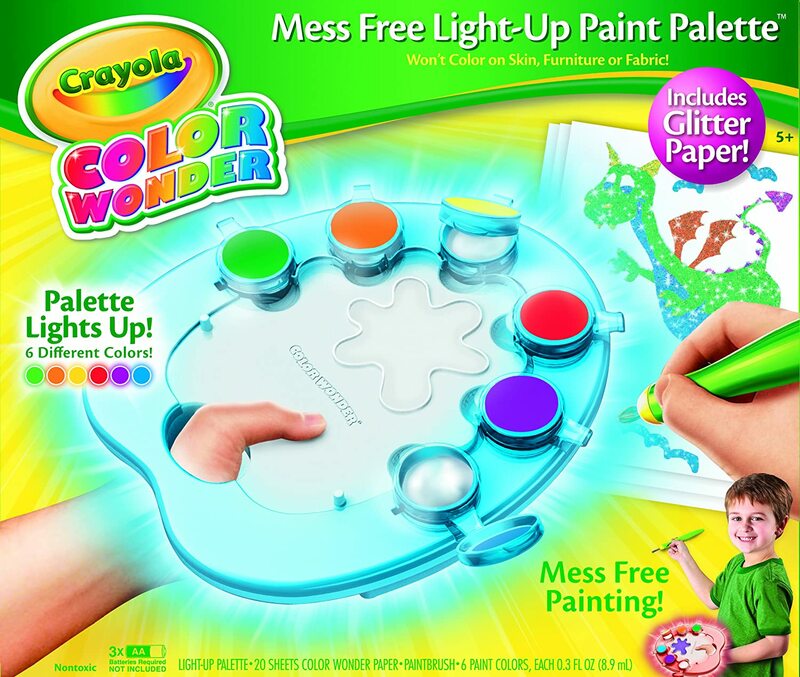 The Light-Up paint palette provides a fun and interactive color and light show. When kids dip the paintbrush in a paint pot, the palette will immediately light up in the same color–dip in blue and the palette lights up in blue; dip in red and the palette has a rosy glow. This is a great way to teach younger children basic color recognition while sparking creativity. Once your child has chosen a color, they can paint on the Color Wonder Glitter Paper. Because the paint colors only work on Color Wonder sheets, you won’t have to worry about color getting on skin, clothes, walls, or furniture. The glitter accents add a touch of sparkle, bringing designs to brilliant life. And they’re mess-free, too–the glitter won’t flake off the paper.